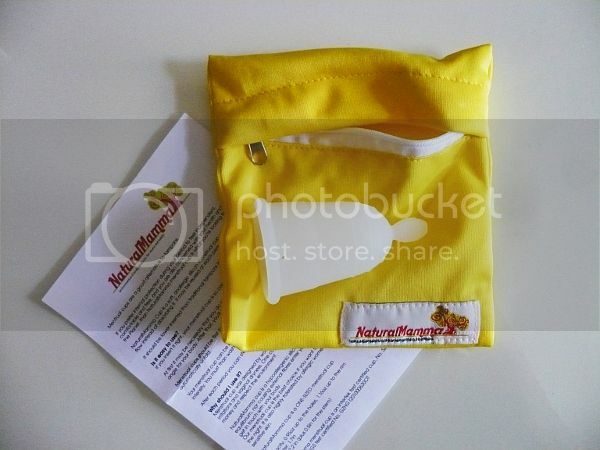 Natural mamma cup is here! I've been using Ladycup and Meluna, mainly Ladycup, for years now. I just had a baby and I decided to give a new cup a try for when my period returns, and wanted something different. My main issues with my cups are that I have a high cervix and it was difficult to catch the cup to remove it, the Ladycup was slippery and the stem was not easy to tug down. Meluna was easier to catch and tug because I use the one w/ the ring grip (I have 1 of every kind and I find the ring the best). But Meluna was a little too hard and would hurt me especially during removal. I may have a high cervix but turns out I'm anatomically narrow, who knew, my midwife told me that. Anyways, long story short I was looking for a cup that is soft & long, with not a stem grip, and I decided to order the Natural Mamma one, from Natural Mamma webby, as it had a very good price only 9 euro!!! It arrived super fast (I'm in EU), and the little bag it came in rocks! It has a zipper!Made from the same material used to cloth diapers, in bright yellow, I just adore it! Holes are high up, that means big capacity, less leaks for me. I'm a cup addict, and may I say I miss using my cups? I can't wait to try this one! Thumbs up to Luisa (Natural Mamma) for a great product and great service! Do you have a link to where you found it for €9? If you see in the bottom of the page it still has the 9 euro offer, but when i tried to add it to the cart it is 14 euro, maybe the offer is over? Contact Luisa for this! Well I've been having problems getting my naturalmamma to pop open and seal once inside. I keep thinking it has popped open - but then an hour or two later - leaking. So anyway, I decided to try the half-diamond fold facing downwards - and whoah - did it pop open when I put it in! I'm hoping it's not just a one-off, because honestly, I've been getting SO frustrated this month trying to get my technique right. But I'm so glad I tried it - thanks for the advice!